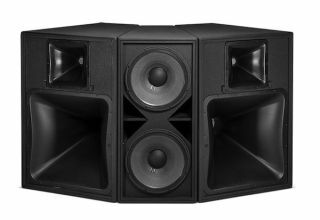 The What: Harman's JBL Professional is adding to its Precision Directivity Series product line with the new PD6000 Series. The PD6000 Series is designed for midsize to large venues requiring excellent pattern control, high output capability, configurable either individually or in array applications. The PD6000 models complement the larger PD700 mid-high systems with more compact size and greater affordability, the company says, while the PD6000’s higher SPL capability and larger waveguides supplement the midsize and compact AE Series systems. The PD6000 Series is ideal for stadiums, arenas, performing arts facilities, live theaters, auditoriums, houses of worship, and dance clubs. The What Else: The PD6000 Series consists of 14 models, which include four 3-way full-range systems, four 12-inch 2-way systems, four 2-way mid-high systems and two low-frequency models. Coverage patterns include the original 40 x 30, 60 x 40, and 90 x 50. With the introduction of the PD6000 Series, an additional coverage pattern of 60 x 60 is now available. New to the PD Series are injection-molded rotatable waveguides which allowed JBL to provide a more cost-effective loudspeaker lineup. The mid-frequency 24 x 24-inch PT (Progressive Transition) waveguides provide pattern control along with low distortion and extremely natural sound character. This is also the case with the 12 x 12-inch high-frequency PT waveguides. These rotatable waveguides provide the system designer the flexibility to utilize PD6000 models in either horizontal or vertical orientations. In addition to the injection-molded waveguides and the new 60 x 60 coverage pattern, all compression drivers were upgraded to include JBL’s newest driver technologies, including the 2432H and 2453H. The PD6000 Series utilizes the CMCD-82H Cone Midrange Compression Driver (CMCD). The CMCD-82H features JBL’s patented Differential Drive technology. All low-frequency drivers feature JBL VGC Vented Gap Cooling technology.